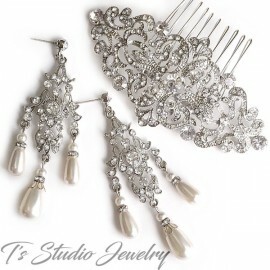 So feminine and elegant! 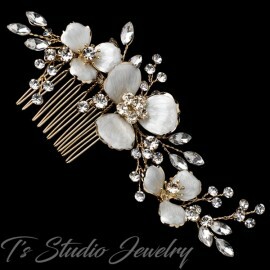 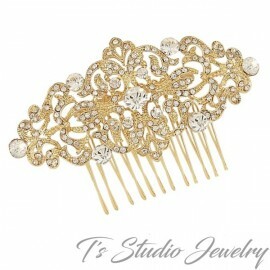 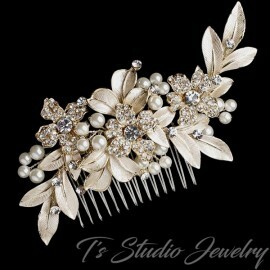 This bridal hair comb is on a swirl designed gold plated base, with tiny pave crystals accented on each leaf. 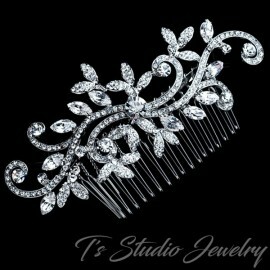 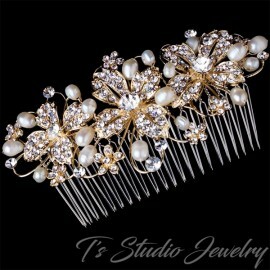 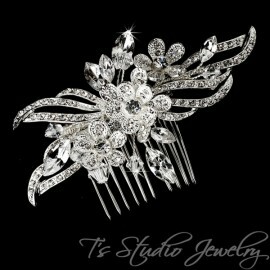 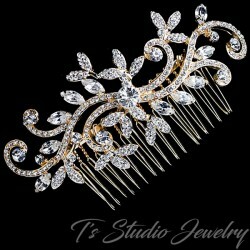 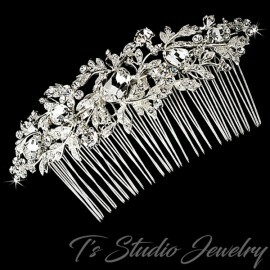 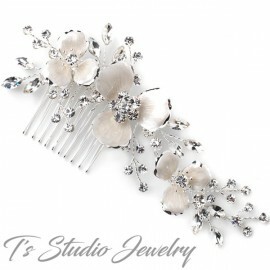 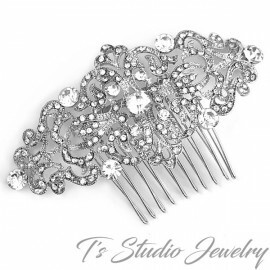 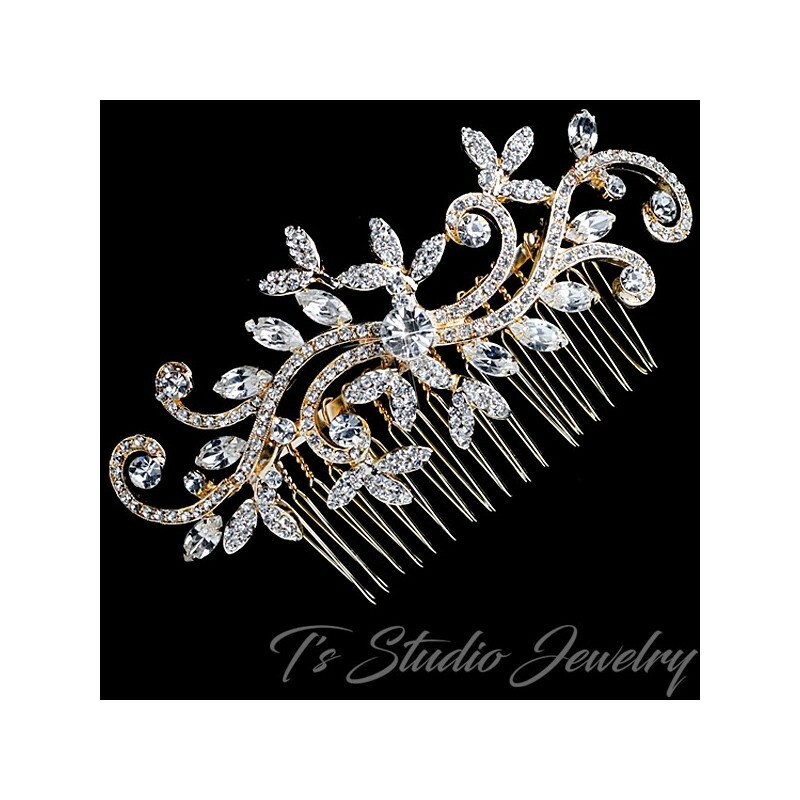 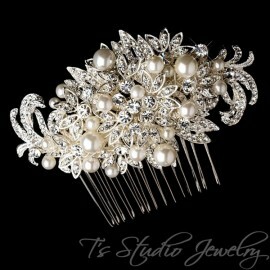 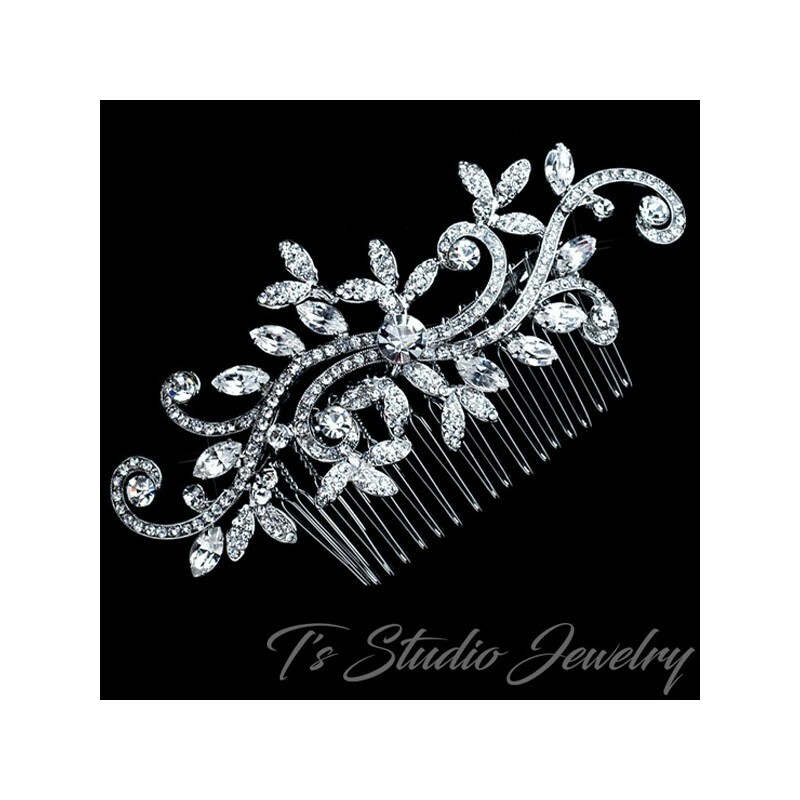 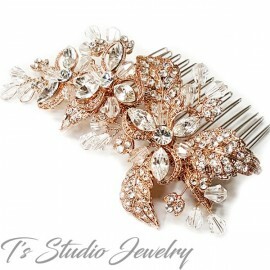 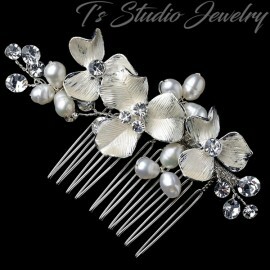 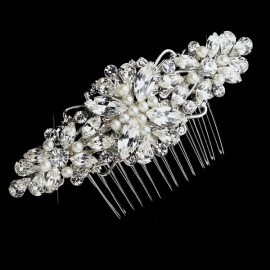 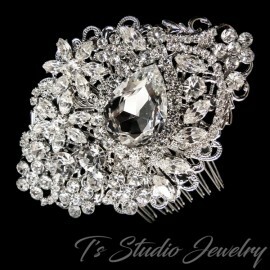 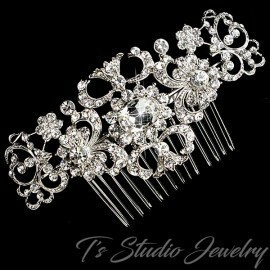 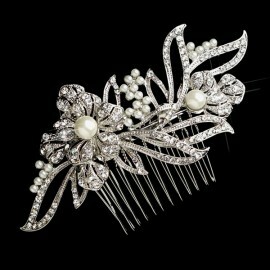 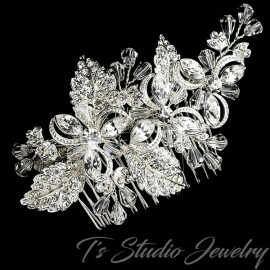 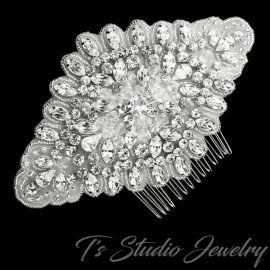 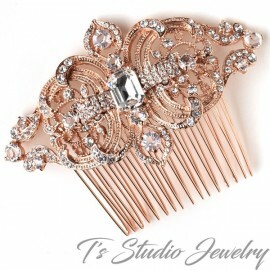 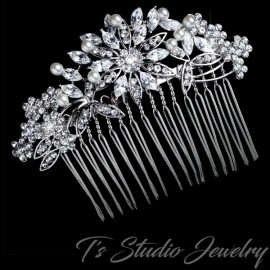 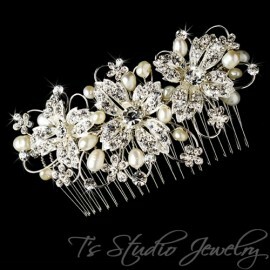 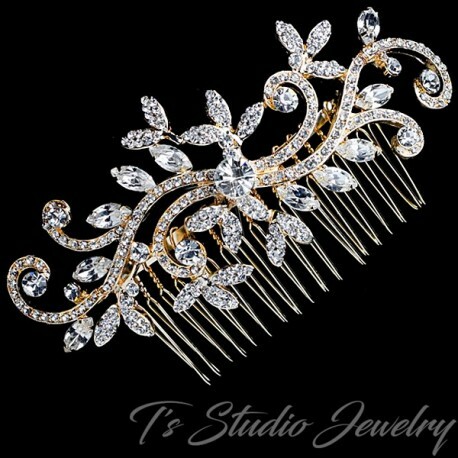 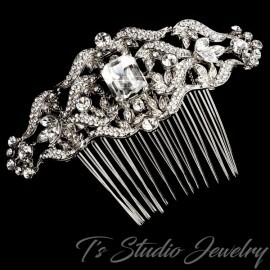 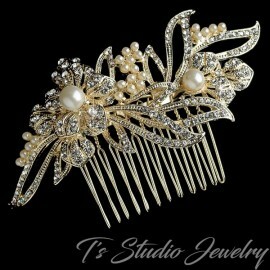 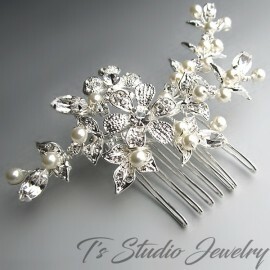 Sparkling marquise shaped crystals add a beautiful touch to this unique wedding hair comb.